Cyndi Berry was born on Sept 21, 1969 to her parents Carl and Shirley Jones and her brother Skip. She was joined a little over a year later by her younger sister Stacy. Several years after that, she found Tara, who became her sister as well. Cyndi did not have an easy life but she did always have a smile and a laugh. She was friendly, outgoing, charming, exasperating, had the patience of a saint, and required the patience of a saint. She could tick you off and make you giggle at the same time. She was all heart. She was a daughter, sister, sister in law, and friend. She was also one very proud aunt to her nephew Sean and niece Valerie. When she received her angel wings, she was welcomed with open arms by her mother and father. 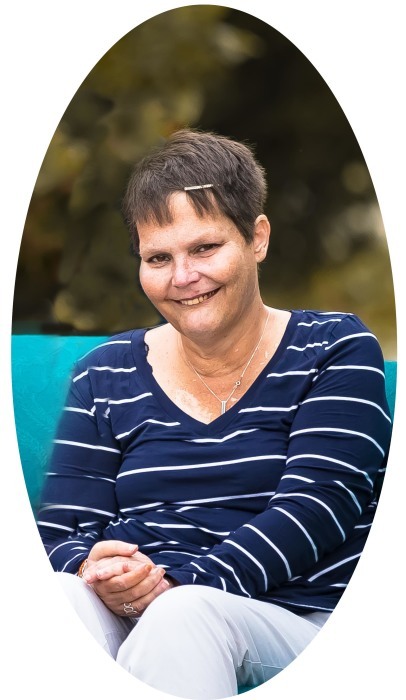 She will be greatly missed by her brother Skip Jones, her brother in law and sister Chris and Stacy Sales and nephew Sean, and her sister Tara and niece Valerie. The memorial service to honor her life will be at the chapel Chism Family Funeral Home, Vine Grove, KY at 11:00 AM, Saturday, November 10, 2018. There will be an opportunity for guests to share stories about Cyndi.